5 out of 5 based on 1 user ratings. Repairing Metal & Plastic Painted Car Parts? Use this scratch pen kit to remove and/or camouflage light to heavy paint scratching on body panels painted with metallic paint where bare metal showing on your car. If bare metal has been left uncovered for more than two hours it is possible that the steel would have commenced to rust and even though you may apply undercoat primer, the corrosion will continue. NOTE: Stop Rust Should Always Be Applied Over Bare Metal Before Any Color & Undercoats. There are two main types of scratches that occur in metallic paint. The first type of scratches are light brushed scratches. These types of scratches are light and whitish looking and only need clear to camouflage. The other type of scratch are deep & discolored where the either metal or plastic surface is visible and will require primers so this type of scratch does not need clear at this point of the repair so GO straight to color. Stage 1: Your car is painted in layers from the factory so when your paint is scratched there are different levels of damage that occur in a single impact. Stage 1) light scratches where only the clear is damaged and needs the first steps of this metallic repair manual to to either completely remove the scratch or camouflage it. Stage 2: Where primers, color & clears layers that are completely removed and either bare metal or bare plastic is exposed & the appropriate paint layer needs to be applied in the same way the factory formula is sprayed. So Basically fix the light scratches first using stage 1 & then using stage 1 & stage 2 together to repair, remove & camouflage heavier paint chips, scratches & blemishes. Clean Area to be touched up with a cleaning solution. Shake 2k clear pen contents well before use. Remove cap and discharge the initial amount to rubbish by pressing the pen down in an upright position and squeezing the pen body slightly. Metal Primer Pen is used to give better paint levels when touching up paint scratches & Chips, also protect and promote adhesion of top coat paint color layers on bare metal on vehicles where a foreign object on impact has removed factory paints. Procedure: Shake primer contents well until the agitator can be heard bouncing around, remove the pen cap. Apply the metal primer on only the damaged area where Bare Metal is Showing. Do Not apply metal primer to any other part of the scratch including the light whitish looking scratches. Apply one to two coats directly into the paint chip or Clean cut scratch. Allow 3 minutes drying time in good weather. Metal Primer Tips & Tricks: Pool the primer to bare metal chips and larger scratches without getting it on the good paint. Apply the primer only where it is missing and bare metal can be seen. Do not use metal primer on plastic parts unless the plastic primer adhesion promoter has been applied first. 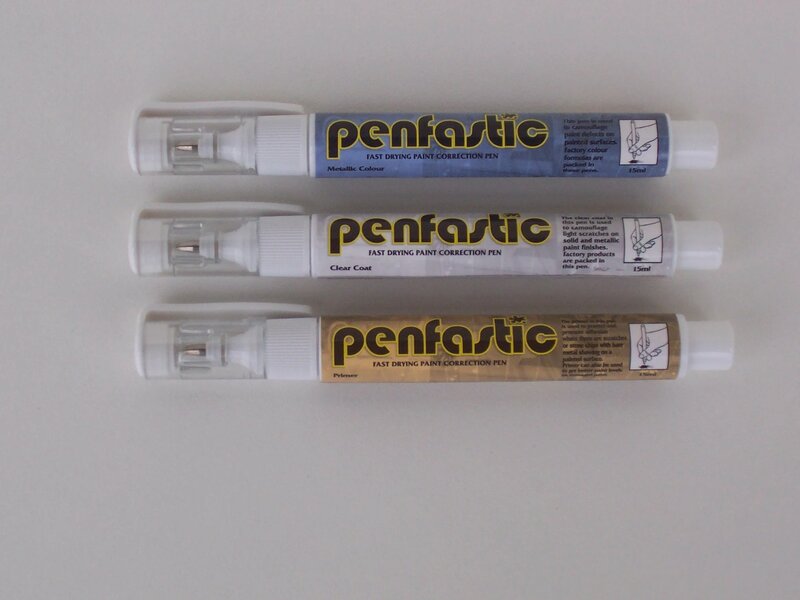 Metallic Paint color pen is used to cover deep discolored scratches, chips & paint defects caused by impact of an object where coats are completely removed and/or left paint transfer that is impervious to solvent & is to thick to remove using cream cutting agents. Procedure: Shake contents well. Remove cap. Check the color is correct. 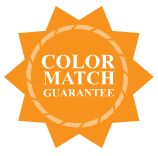 Apply color only to the fully discolored areas of damaged paint where the paint layers including the color coat has been completely removed. Allow 3 minutes drying time in between coats in good weather. Note: If you have impact residue that did not come off in earlier steps, apply one or two coats of color directly on only the discolored area. Paint Color Tips & Tricks: Always know your paint layers and make sure your not touching up clear scratches with color or the scratch will look just as bad as the original scratch. Tip. You can usually tell which layer the scratch is in when using the Solvent or Clean-up solution. As the solvent is applied it will give the area a wet look. While it is wet if the scratch disappears that usually means that your paint scratch is confined to the top coat layer of the paint and clear gloss cutting and or cleaning agents should be used first. Clear gloss is used to shine, seal & protect metallic paint color. Shake clear pen contents well before use. Remove cap. Apply 1 to 2 coats of clear gloss over the applied paint color performed in the previous step. Do not apply the clear to good paint.